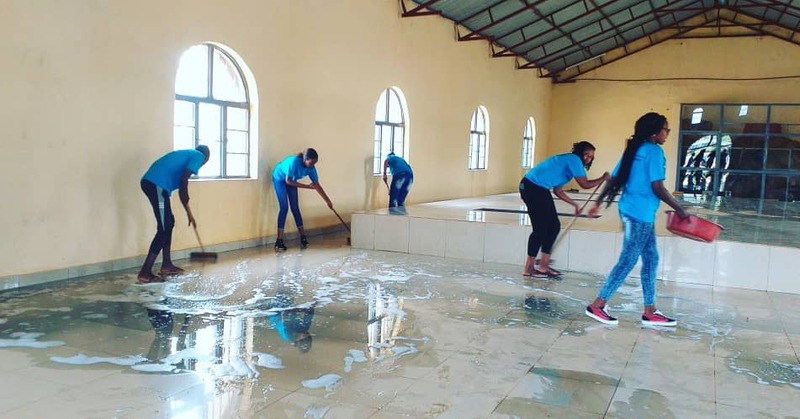 Young people being part of the AERG-GAERG Week crew members have, yesterday, participated into various activities including cleaning the 1994 genocide memorial site located in Ruhanga Cell, Rusororo sector in Gasabo district. 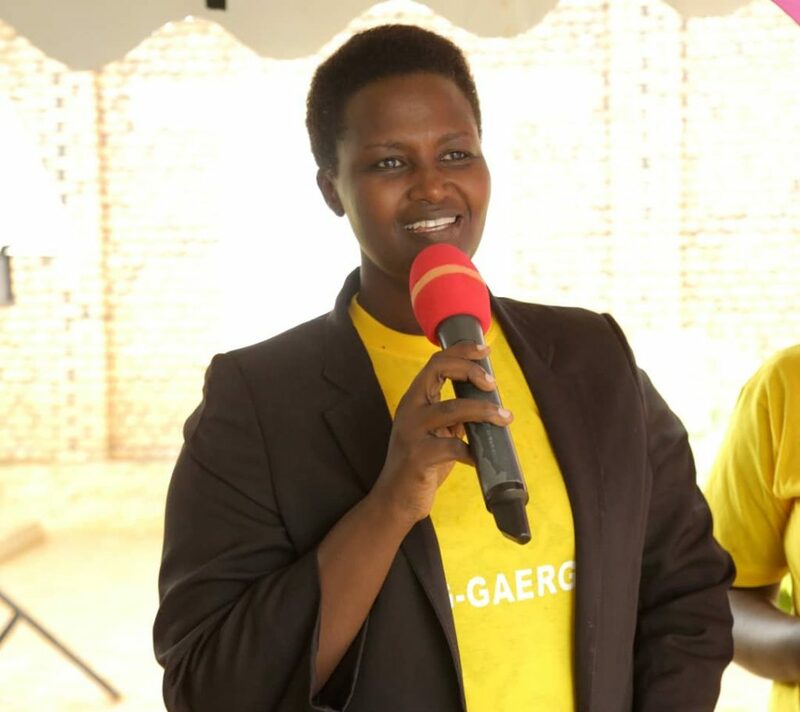 The AERG-GAERG Week is an annual period set up by students who survived the genocide against the Tutsi alongside their elderly brothers and sisters who graduated from University and other high learning institutions. During this three-to-four weeks period, those young people visit and take care of needy genocide survivors (orphans and widows) through providing them with items and domestic animals to improve their livelihoods. Yesterday in Ruhanga cell, they participated into cleaning the area surrounding the genocide memorial site as well as its interior areas. 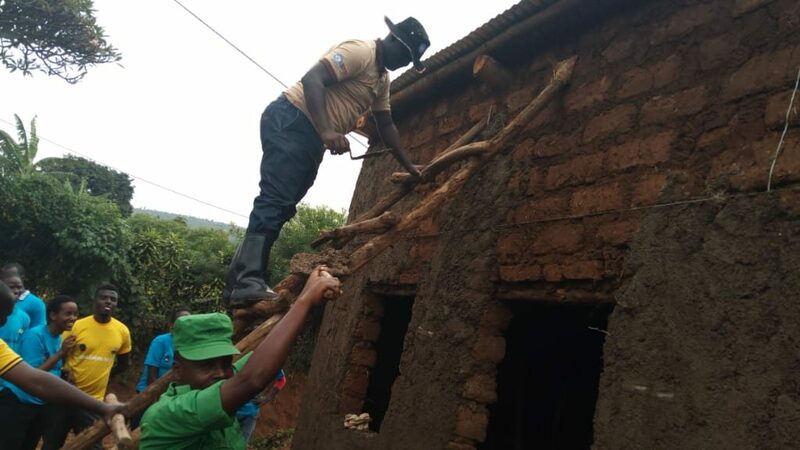 Young people built a house a local most needy elderly man named Juvenal Nyamushangagwa . Once the house will be fully constructed, Juvenal Nyamushangagwa will be given items to equip his house. 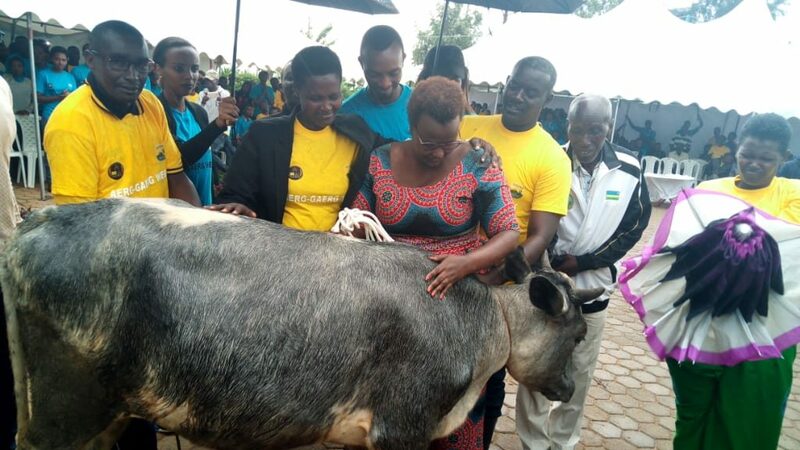 Another woman who survived the 1994 genocide against the Tutsi called Sophie was given a cow to breed. Participants who attended that event expressed their grateful feeling towards the willingness and ability from the former APR Forces that stopped the genocide and rescued its survivors. For them, without the APR Forces ‘intervention things would have been worst. AERG-GAERG crew members also took part into building a protective enclosure of the memorial. The guest of honor in the activity was the Vice Mayor in Kigali City in charge of economic development Patricia Muhongorwa. She commended the warm love AERG-GAERG members displayed for those who benefitted from their assistance and called them upon to keep it up. Muhongerwa told locals to fully participate into the forthcoming Kwibuka 25 event that starts every 7th, April every year since 1994. The Ruhanga genocide memorial is home of 37 000 bodies of the Tutsis massacred by the Interahamwe militia in 1994.